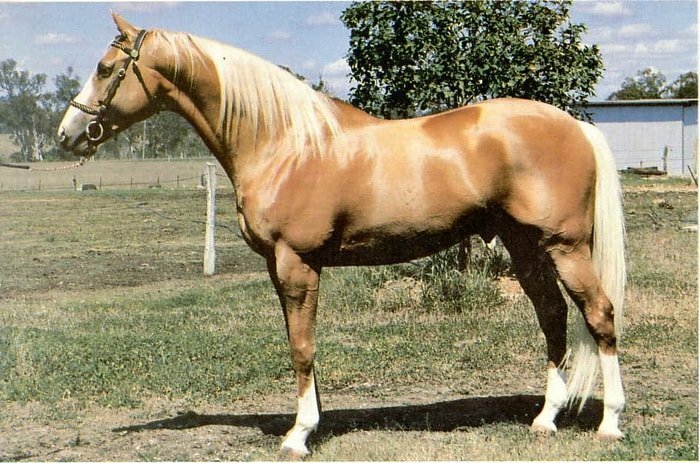 The Palomino mostly described their coat color, and the coloring pattern of this horse is beautiful. They are a very gentle, social and friendly animal. 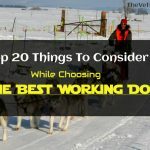 In a variety of settings the horse easy to work. 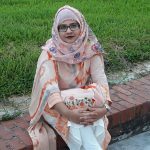 In my writing, I have to describe in detail for the all about horse information of the Palomino. The origin of the Palomino in Spain. The horses bred for color in Spain, being used of the Royal Family, the nobility, and high military officials. In Spain, the golden color animals are known as “the horse of the queen’. Nowadays in California, the palomino is very much famous. 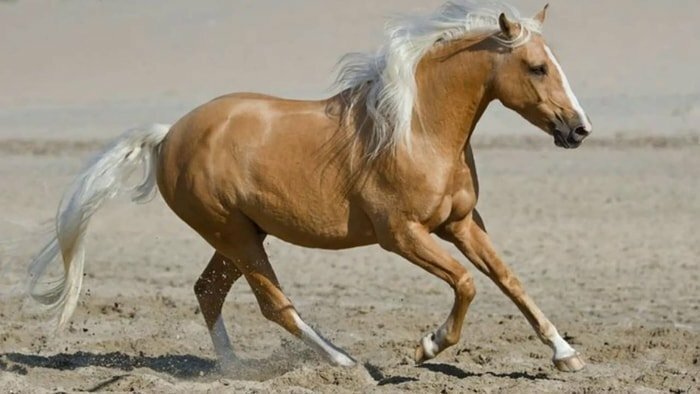 The Palomino is the “color” and not a breed. 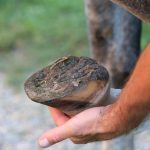 Any light horse is acceptable, providing the color and conformation standards maintaining. 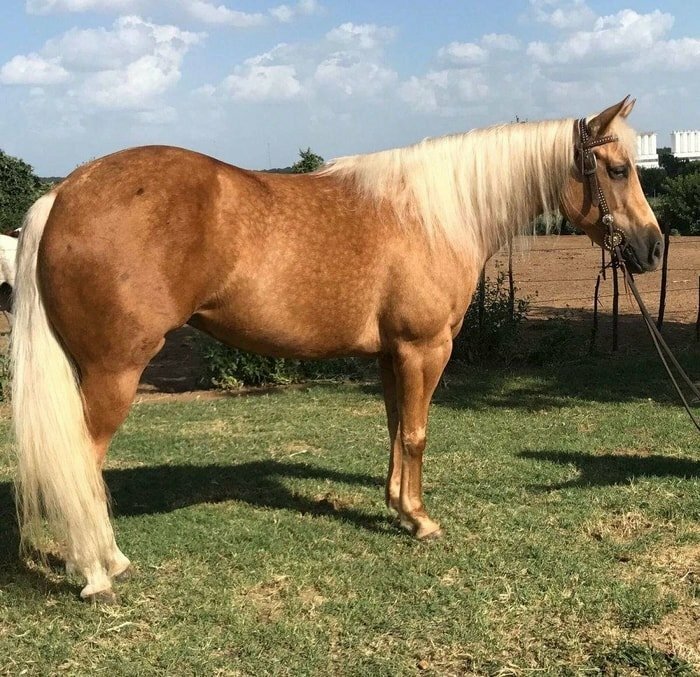 The Palomino is described as a horse with a white and a golden coat, ivory or silver tail, and mane with not more than 15 percent dark or chestnut hairs throughout the mane and tail. The skin is dark in color. The eyes of the horse may be black, brown or hazel, but must be the same color. White stockings marks do not extend above the knees and hocks except in a diminishing spear-shape. White markings on the face are permissible. 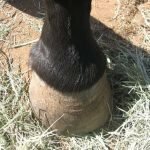 There should be no white or black spots on the body, nor should there be a zebra marking or dorsal stripe on the legs or body. 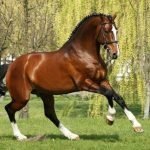 The horse is strong and muscular body and the heights is usually 14.1 to 17 hands, and the average weight is 1250Ib. The horse is sociable, calm, versatile, friendly, willing and easy to train. The horse is a high-spirited horse, and the management of this horse is suitable for the owner. The average lifespan of the Palomino is 25 to 30 years. 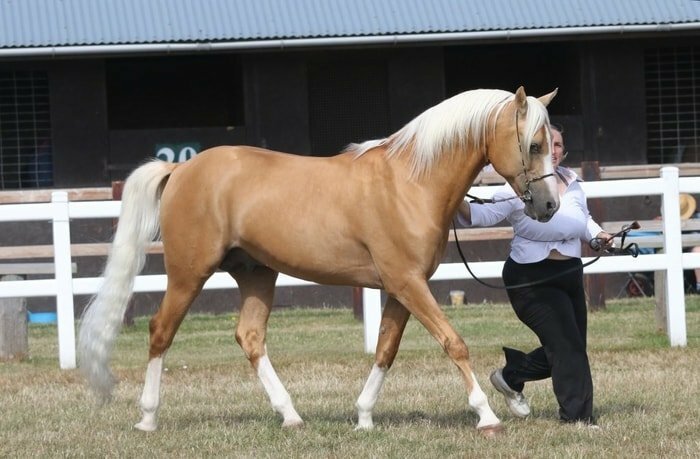 Palomino competes in shows, harness, jumping, novelty, stock horse, hacking and led events. The breed is also used in parade horse in California. The horse shows in color classes where they are judged on their color. 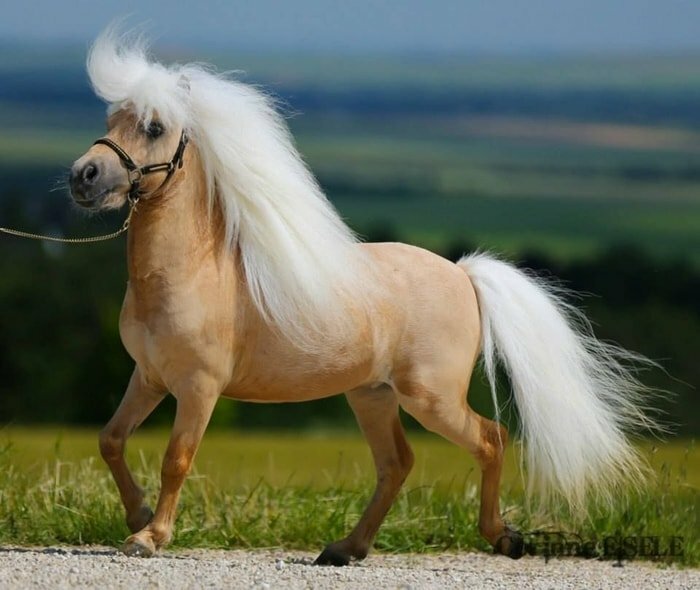 The Palomino looks very beautiful and uses as a pleasure horse. Palomino is not a horse breed. The horse has a unique personality. The palomino is a multi-purpose horse. The horse has a white mane and tail. The eyes are black, hazel, or brown. The coloring pattern is unique. 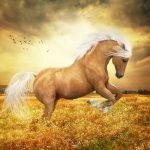 Are Palomino is a Good Horse? 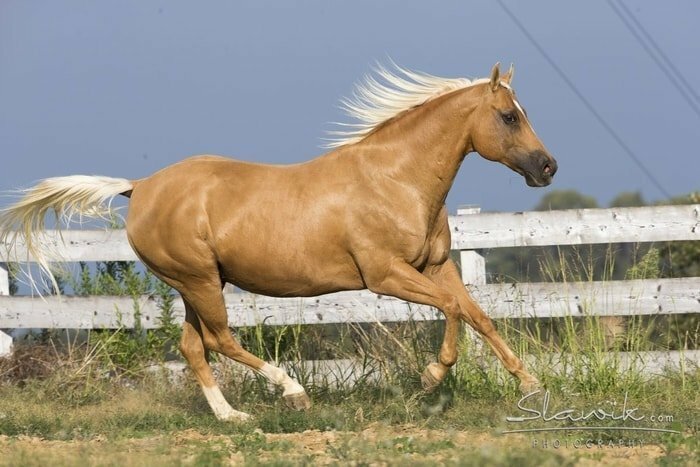 Palomino isn’t a breed, and it’s a color (like buckskin, black, and chestnut). 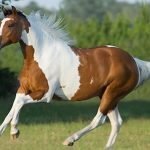 They have excellent temperament, and unique personality and a horse’s attitude varies from horse to horse. 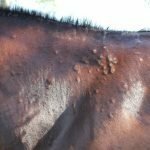 A good horse temperament can be affected by the training procedure. They are a very gentle horse. The Palomino Horse can be found within a variety of unique breeds. 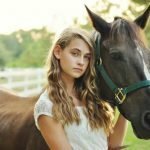 The horse is considered one of the most beautiful horses, and their personality is perfect and gentle. 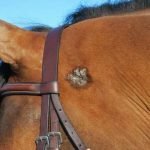 In my article, I give you a clear idea of the Palomino.